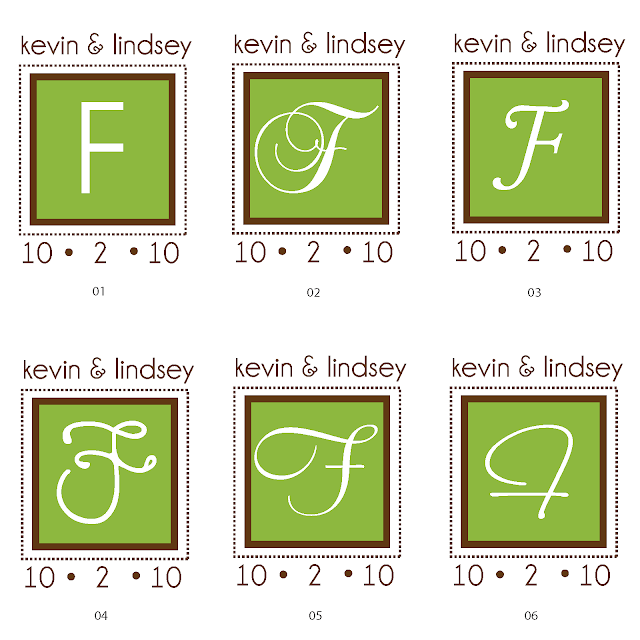 Earlier, I had shown you a few monograms I was working on for Lindsey. She chose the square version and now we're just working on the finishing touches, making a few changes here & there! Here are a few different "F's" to choose from! I like the first two, so we shall see which direction Miss Lindsey decides to go in!